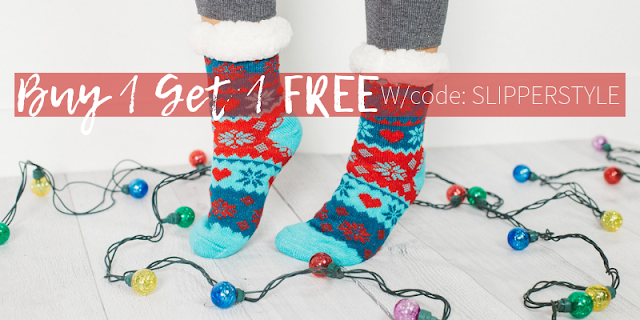 Today ONLY - Cents of Style is offering BUY 1 GET 1 FREE! Holiday Slippers and Socks with code SLIPPERSTYLE at checkout. Slippers are only $16.95 and socks only $14.95! There are 5 different styles to choose from with over 20 different color and print options!